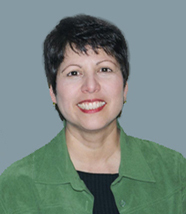 Christine Ponce Miller graduated from the University of Louisville with a Masters degree in Education & Counseling in 1988. She has provided individual, marital, and family therapy as a Licensed Professional Counselor to both the private and public sector. In addition to being an approved Prepare-Enrich provider, which assists engaged couples in preparation for marriage, she has also supervised limited license counselors working towards their full licensure in the state of Michigan. While at Eastern Michigan University she was the director of two grants in the Social Work department, provided previous administrative work at a Counseling Clinic and has given presentations in the community regarding parenting, grief, self-esteem, co-dependency and utilizing the Myers Brigg Inventory in enhancing parenting and couple relationships as well as individual growth. Much of her practice has focused on mood disorders, women's issues, older adolescents and persons recovering from various forms of childhood abuse as well as those dealing with life transitions, especially young adults. She has been a member of the Michigan Counseling Association and the American Association of Christian Counselors. She lives with her husband and has two adult children and a son-in-law. Q. Chris, how do you find meaning in your work as a psychologist? A. One way is when I'm able to see clients move from stuck points to accepting the person God created them to be and embracing not only themselves but also what God has planned for them. Q. How do you find the strength to deal with other people's pain and suffering? A. It's in knowing that I'm not alone in helping direct others towards healing. The decision to seek help and receive counseling can be a difficult one. I believe God honors the individual's step of faith in seeking help as well as works in their life for further healing. Q. How do you integrate the science of psychology with Christian values as a therapist? A. I try to utilize a variety of Christian psychological resources that are now available as well as incorporate biological an/or neurological information that is applicable to the individual. A. I share with them that I work as a Christian counselor and may share some Christian perspective/input if I find that it might be beneficial to my clients, but I try to remain respectful of where they are at.